Not the building, nor the display inside but the legacy and industry of G. W. Carver. This former laundry facility is now a museum to the man who helped thousands of people out of poverty and created new industries with his work. Sometimes called the "Peanut Man" because of his scores of important new uses for them his work went well beyond that single plant. This is on the grounds at Tuskegee University in Alabama and, while it is a nice tribute, it is not up to the standards of the National Park Service nor does it do justice to this man's legacy. 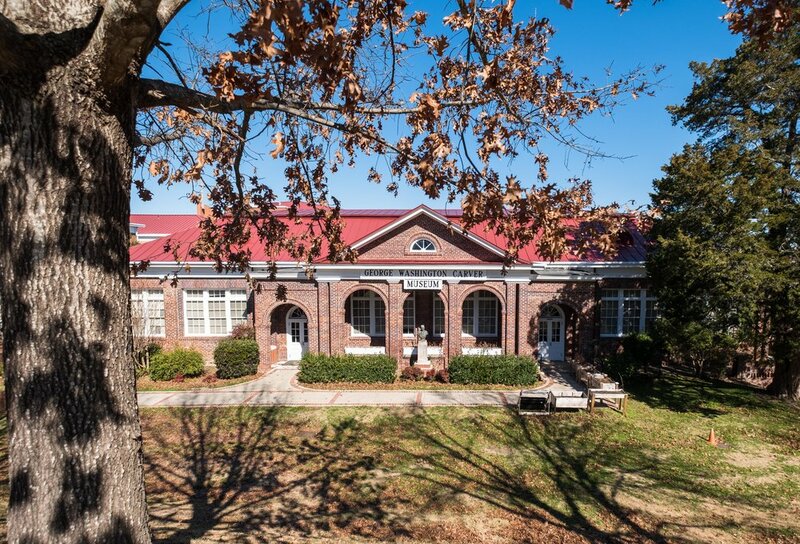 I hope the Tuskegee Institute National Historic Site gets an upgrade equal to the strength of both Carver and B. T. Washington who shepherded the school into a major force.